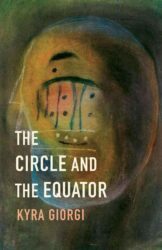 To find a collection of short stories so perfectly themed as The Circle and the Equator is a rare gift. These stories take us on a grand tour of the world, shifting in time, with each location bound to an historical event, often a violent one. They explore the lives of ordinary people confronted by extraordinary moments in history. The stories are in no discernible order with the first being set in 1978 Angola, the second in Berlin in 1921, the third in Hiroshima in 1952, and so on. However, what links them is an expression of often indifferent and random violence, sometimes because of conflict and war, and the aftermath this has on these people’s lives. Kyra Giorgi is a consummate storyteller. The world of each story is furnished with small details, such as the description of how to make a wax mould of a disfigured soldier’s face in ‘The mouleuse ‘(p. 42), or of the musical instruments played by Hamid in ‘Tifilis Papers’ (p. 114). These details enhance authenticity and are most likely informed by research skills gained while Giorgi was undertaking her PhD in History. 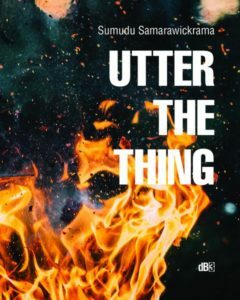 In addition, she crafts her short form writing with a delicate touch that reveals character as the narrative spirals forward, taking us deeper and deeper into the lives of these protagonists. At the end of a story, the reader is left at the edge of understanding, and we must decide for ourselves if we will take that extra step to complete our own journey with these characters. Giorgi is more courageous in some stories than in others, particularly when she deeply mines humanity’s propensity for destruction and depravity. In The Sting, a young woman physically self-harms in order to keep her secret, while at the same time, the self-deception and exploitation of the doctor who has discovered her secret is alarming. Giorgi tells this story from the doctor’s perspective and so, as the reader, we are placed within his deception, a party to his exploitation, whilst we observe the young woman’s suffering and deterioration. When they came for you, you held out your hands to receive the manacles, allowed them to slip over your wrists and be locked in place. Words failing them, your captors fixed you with a scornful glare, and you glared back. However, the story focusses on the aftermath, the broken body that had once stood so proudly at the head of his people, is now shattered and twisted by his gruelling punishment. As with many stories in this collection, ‘Parihaka’ demands that we remember the role violence has played in our history, and, with this story in particular, readers from Australia and New Zealand are confronted with how its effects still resonate in many lives today. Bodies, and their pain and mutilation, feature throughout this collection. This is visceral storytelling, both literally and metaphorically. Bodies are damaged, crippled, disfigured, yet the human spirit continues despite this physical harm. Fundamentally, these stories are instances of survival and resilience in the face of struggle. It is the blast of a bomb that shatters hope, but which is then rebuilt, piece by piece, with patience, determination, and at times, a sense of inevitability. Life will go on, and to go on is to be human. It is the fate of our spirit and a force of our nature. VIVIENNE GLANCE is a scholar, theatre artist and creative writer. She holds a BSc (Hons) from Imperial College, London, trained at the Drama Studio London and has a PhD in Creative Writing from the University of Western Australia (UWA). Her interests are the intersection of science and culture, particularly aspects of science in performance; and diversity and multiculturalism in the Arts. Vivienne is currently an Honorary Research Fellow at UWA.